Welcome to our WWT Explains guide to wastewater pump control and optimisation, which has been produced in association with Grundfos. The performance of wastewater pumps – in terms of reliability, energy efficiency and total operational cost - is of critical interest for water utilities, and smart technology creates a wealth of new opportunity for improving their operations. However, in order to grasp this opportunity, wastewater utilities will need to be bold in their approach, embracing cloud-based data analytics, challenging long-established norms around maintenance, and shifting from a reactive to a proactive mindset. Whatever your role and level of experience in the industry, we hope this guide proves an informative and thought-provoking resource in considering the future of these vital wastewater assets. 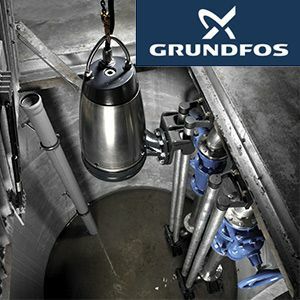 In order to receive this download free of charge I am happy to share my contact details with the download sponsor, Grundfos Pumps Ltd. Grundfos Pumps Ltd would like to keep you up to date with their products and services. Please tell us the different ways they can contact you.